Lenexa is a part of the Kansas City metropolitan area and has its own vibrant culinary scene. 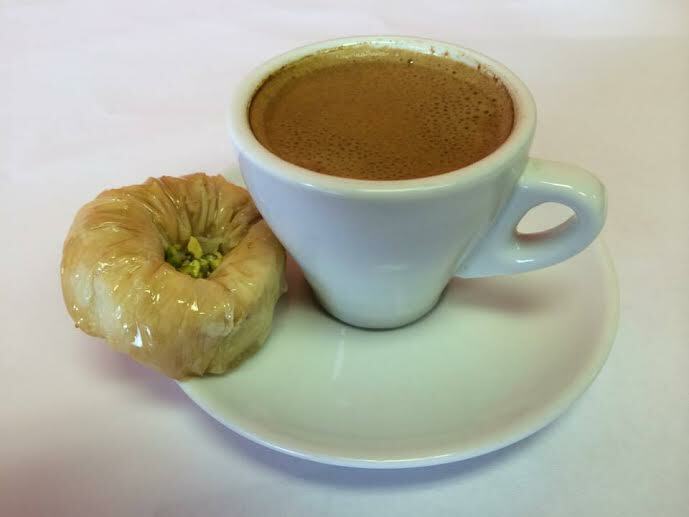 There’s a strong emphasis on Middle Eastern and Mediterranean cuisine and culture: here’s our guide to the best places to eat out in Lenexa. Joe’s Kansas City Bar-B-Ques are scattered around the area, the establishment in Lenexa was the first. The rather retro original is located inside an old gas station in Lenexa. Joe’s renowned smoked meat and exceptional barbecue sauce make this place one of the most popular restaurants in the area. 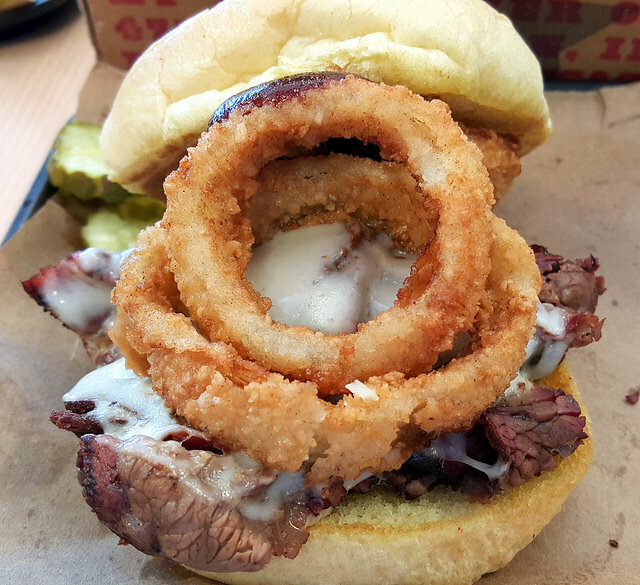 The menu consists of quintessential barbecue items like brisket, pulled pork, ribs, and chicken along with a variety of sandwiches and other succulent smoked meats. Joe’s also offers catering services, and you can even buy a bottle or two of their sauce to take with you. Holy Land Cafe serves up some excellent Mediterranean fare. Start your meal with the combo appetizer, which includes falafel, hummus, stuffed grape leaves and baba ganoush. The entrees consist of Greek and Tabouli salads, lentil soup, garlicky beef, chicken and lamb kabobs and shawarma. Finish the meal with a traditional, aromatic Turkish coffee. Holy Land Cafe also offers a large evening buffet for Ramadan gatherings and takeout. Mi Ranchito fills up during the dinner hours and for good reason. This restaurant serves American Southwest and Mexican dishes. From the ‘Burrito Feliz’ to the Flautas and the espinaca dip, each dish is consistently outstanding. Meals are made to order so you can expect your food to be fresh and piping hot upon arrival to your table. Portions are very generous here and all sauces are made in house including the complementary salsa. World travelers and locals alike can agree that Sweet Siam Thai serves authentic Thai cuisine. The menu offers a variety of curries and other noodle dishes. You can choose the level of spice in your dish to personalize it to your tastes. The staff is very helpful and happy to give recommendations for those who are new to Thai food or would like to try something different. The ceiling is made of woven bamboo and the artwork on the wall features framed images of life and culture in Thailand. Minksy’s Pizza is a classic American pizzeria that serves other Italian favorites like gourmet calzones, spaghetti and meatballs, and alfredo. As for the pizza, try one of their creative specialties like the cheeseburger pizza. It’s a great spot to drink a beer and socialize with friends. This is an ideal spot to watch the baseball game on TV, and you can get all this for a reasonable price too. Black Dog Coffeehouse is a great spot for gathering, reading a newspaper, or catching up on some work. Its trendy industrial style interior is offset with warm tan color tones, which help to make the place inviting. There is an extensive drink menu replete with creative variations of coffee drinks and seasonal specialties. We recommend you try the almond joy frozen latte or the shatto milk hot chocolate. You can also enjoy a sweet treat made by their partner, Ibis bakery. 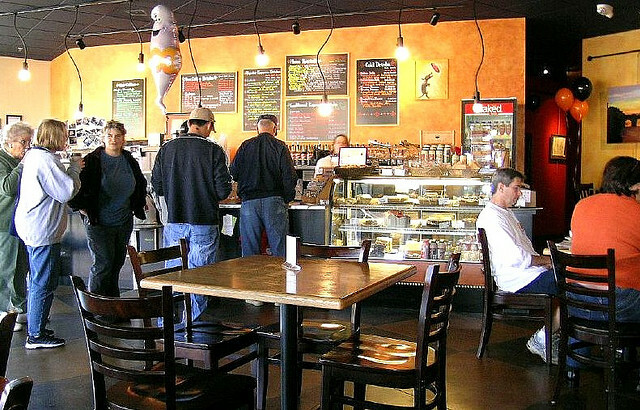 Black Dog Coffeehouse has a great atmosphere and is full of happy customers. They also offer a variety of beans from Messenger Coffee Roasting Company that you can buy and brew at home. Nazareth Sweets serves Turkish sweets filled with dates, walnuts and pistachios. There is a huge selection of crispy baklavas, maamouls, nut-filled ghraybehs, sweet kanaffehs, and powdered snow cookies. The staff will happily explain each cookie and pastry, and the owners are notably kind and friendly. We recommend that you enjoy your desserts with a Turkish coffee. ASA Sushi Hibachi Lounge provides an extensive selection of high quality sushi and sashimi with phenomenal presentation. Have fun at the hibachi table where you can watch master chefs put on a show as they cook your food. As for the drinks, there are great happy hour specials and the warm sake is a fabulous way to start or finish a sushi dinner. Become a member and get lots of great discounts. They even host the occasional karaoke night. Blue Moose Bar and Grill draws a crowd, especially on game day. Lenexa is a city of sports fans for the Kansas City Royals, and this sports bar will give you a taste of this city’s culture. It’s a wonderfully casual spot for lunch and dinner with the iconic blue moose, which stands proud inside. Try the usual sports bar cuisine with a bit of local flair like the flagship burger, or the whipped cauliflower, which is a more imaginative and high-end variation of a mashed potato side.